Euonymus Fortunei is a dense compact bushy shrub that is sure to bring luck to your garden. 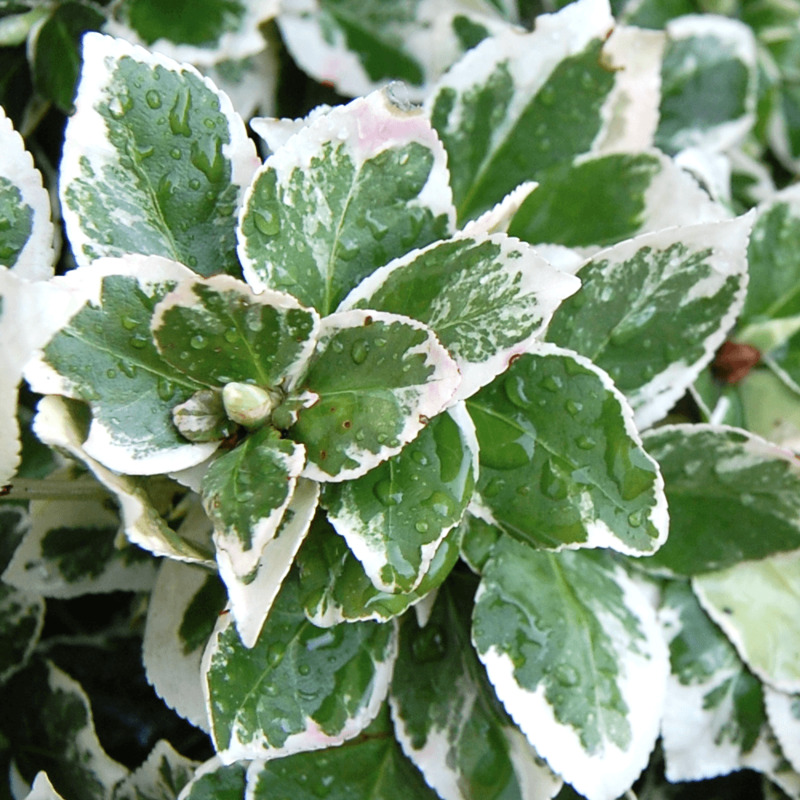 It forms beautiful low hedging decorated with glossy leaves in bright colours. Emerald Gaiety is a Chinese native variety that is vigorous in growth and easy to grow evergreen shrub. It is a hardy plant that can tolerate coastal winds and is very tolerant to clipping, thus forming creative hedges suitable for cottage gardens. Emerald Gaiety produces glossy or leathery dark green broadleaves with white margins. This combination of white and green look very stylish and ornamental. In winters, these evergreen leaves will develop hints of pink-red colours, thus adding warmers colours in the cold season in your garden. This bushy plant occasionally blooms small ivory-green flowers that are insignificant. Also known as the Wintercreeper, Euonymus can thrive in any soil provided it is well-drained and moist. It prefers a sunny slope or other locations with full sun, where the leaves will reflect the best of their colours. It will do well even in partial shade, with regular watering until the roots are established. Once Emerald Gaiety will mature, it will reach a height of 1.5 metres and will be able to withstand certain dry periods. Pruning it is easy, even for a seasoned gardener. Simply trim the top shoots in spring and once again in September to keep its growth in control. Emerald Gaiety is invasive in nature. It will quickly take over any available open ground, thus forming an excellent ground cover. Use it in mixed borders or train it to climb walls and trellises.